This program is a much-needed workshop on the nature of “helping relationships”. 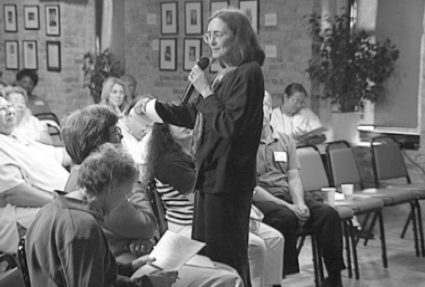 The three tape series, presented by Wendy Lustbader, in cooperation with Terra Nova Films, will empower those who serve older adults to examine and better understand their own emotional reactions to the unique challenges they face. As the series taps into the very essence of what it means to serve, care providers will be encouraged to apply proven strategies to maintain healthy professional boundaries and keep an open heart. Kindness and caring are emphasized throughout. reduce “over involvement” while affirming the dignity and individuality of older adults. recognize and respond to personal biases in an ethical manner. utilize the grief process as a healing aid to provide comfort to older adults, and to themselves.